Reliance Communications stated the tax demands were completely unsustainable and illegal, and denied any 'gain' from the settlement. New Delhi: The Rafale controversy took a new turn Saturday after a leading French daily, Le Monde, reported that Anil Ambani’s France-based company was given a tax waiver of 143.7 million euros (over Rs 1,100 crore) six months after Prime Minister Narendra Modi announced the deal for purchasing 36 figher jets. Anil Ambani’s Reliance Defence is an offset partner in India’s Rafale jet deal with France announced by Modi in 2015. The Le Monde report was, however, dismissed by India’s Defence ministry, the French embassy and Anil Ambani’s Reliance Communications. Reacting to the report, Reliance Communications said the tax demands were completely unsustainable and illegal, and denied any “favouritism or gain from settlement”. 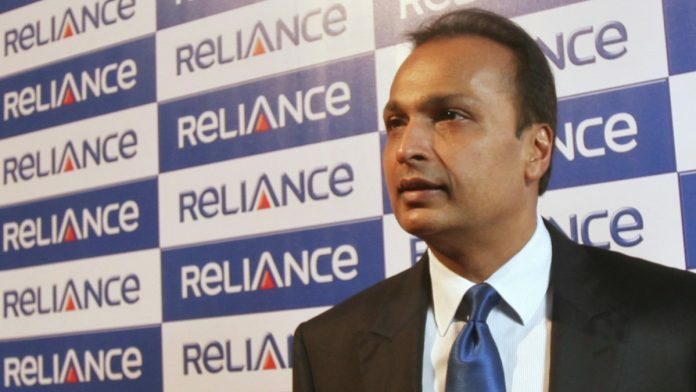 Anil Ambani’s France-based Reliance Flag Atlantic France deals with under-sea cabling. The company was investigated by French tax authorities and found liable to pay 60 million euros in taxes for the period between 2007 and 2010. Reliance had offered to pay 7.6 million euros as a settlement. The French tax authorities, however, refused it and conducted another investigation from 2010 to 2012. Following this, the French authorities asked for an additional 91 million euros in taxes, the paper reported. By the time, Modi announced the deal with France to buy 36 Rafale fighter jets, the total amount owed by Anil Ambani’s company to France was at least 151 million euros. However, six months after Modi’s Rafale announcement, the French tax authorities accepted 7.3 million euros from the company as a settlement, the newspaper reported. “France has cancelled a tax recovery of a total amount of 143.7 million euros, yet claimed for years, in favour of a French company belonging to the group Reliance Communications Anil Ambani,” the French daily reported. Anil Ambani is in the centre of the Rafale controversy in India with the opposition, alleging that he was favoured by the Modi government in becoming an offset partner for both Dassault Aviation, manufacturers of the Rafale aircraft, and Thales, the avionics and software manufacturer. The French daily reported as per the auditor’s report of 30 January 2015, Reliance Flag Atlantic France is subject to two tax adjustments. “In particular, the tax authorities dispute the way in which the company accounted for certain purchases from other companies in the Reliance group, due to a lack of ‘documentation’, which is tantamount to challenging the methodology used by Reliance Flag Atlantic France to calculate his ‘transfer prices'”, the newspaper reported. “This well-known technique of regulators is used by companies to reduce their tax bill. It is used to send profits to tax havens, where they will not be taxed. The parent company of the French company Anil Ambani, Reliance Globalcom Limited, is domiciled in Bermuda, a territory that has just been registered, in March, on the blacklist of tax havens in the European Union (EU),” the daily reported. The first tax recovery, decided after a tax audit from 1 April 2007 to 31 March 2010, amounted to 60 million euros, including interest and surcharges. The company opposed it and, in 2013, proposed to settle the dispute with a payment of 7.6 million euros. It is a net refusal of the tax administration, the daily noted. “The company then lodged contentious appeals. The problems are aggravated, because a second tax audit is launched by the administration, for the period from April 1, 2010 to March 31, 2012. It leads to a further significant recovery of 91 million euros, late interest and penalties included,” Le Monde reported. It added the new auditor of the company, Fabrice Abtan, Auréalys firm, notes with relief, in his report of 29 September 2015, the company Reliance Flag Atlantic France is “about to reach an agreement with the tax authorities thanks to a proposal for a comprehensive settlement for an overall amount between 7.5 and 8 million euros”. “Exactly the same amount as the tax administration had refused a few years earlier for settlement of the dispute, then much less important. The agreement in due form is signed promptly on October 22, 2015, a month later,” the newspaper reported. “All company tax remittances, CVAE (contributions on value added companies) and withholding tax for the years from 2008 to 2014, are settled against the sum of 7.3 million euros. A nice gain for Anil Ambani: he saves 143.7 million euros in taxes,” the paper said. The paper also wrote at the end of April 2015, a few days after Modi announced his intention to acquire 36 Rafale jets, Anil Ambani registered Reliance Aerostructure Limited and formed a joint venture with Dassault. “Did he already know that the offsets would come back to him, when the contract is not yet signed? It will be one year later. Anil Ambani thus becomes Dassault’s new partner at the very moment when, between February and October 2015, the tax administration accepts a transaction of 7.3 million euros instead of the 151 million euros originally claimed,” the paper said. “During the period under consideration by the French Tax Authorities – 2008-2012 i.e. nearly 10 years ago, Flag France had an operating loss of Rs 20 Crs (i.e. Euro 2.7 million). French tax authorities had raised a tax demand of over Rs 1,100 crore for the same period. As per the French tax settlement process as per law, a mutual settlement agreement was signed to pay Rs 56 crore as a final settlement,” the statement added. Reliance FLAG Atlantic France SAS, is a subsidiary of Reliance Communications, India. FLAG France owns a terrestrial cable network and other telecom infrastructure in France, the statement added. “Neither the period of the tax concession nor the subject matter of the concession relate even remotely to the Rafale deal concluded during the tenure of the present Government,” said the Defence ministry in a statement. “Any connections drawn between the tax issue and the Rafale deal is totally inaccurate, tendentious and is a mischievous attempt to disinform,” it added. This article was updated to add the Defence ministry’s reaction. How does it relate to Rafale? Perhaps the only thing to be learnt by Dassau Aviation is that Reliance ADAG has become financially very weak and they need to change their partner in the Offset exercise. Obviously, this is not the only offset contract and there could more than 100 partners. Reliance’s share in the total offset amount is likely to be not greater than 3%, i.e. Rs. 900 crore. As per the Offset rules , in DPP, 2016 Offset partners can be changed and approval can be given by the Defence Secretary. . In this case, it is a JV for supply of components to Falcon planes. Indian partner has to make matching 51% investment according to FDI norms. If Reliance is not suitable, it should sell its stake to some other Indian group. This is a simple solution. It’s not related to Rafale. But some Indians are trying very hard to not to make Rahul Gandhi look like a fool. In those heady days, ADAG could write out a cheque for 7.6 million Euros and it would not bounce.